In a derelict power plant, a stunning art deco skylight hangs over redundant controls like an eye controlling the city's power. Suspended beneath the exquisite art deco rooflight in the Control Room by Virgil Borbiro, an immersive artwork by Brigitta Zics in which visitors control computer technology with their eyes. As the experience unfolds questions arise over individuals' response to control and whether we value boredom above stimulus as we choose our journey into the future. Spanning 100 years, these two pieces share an obsession with cutting edge technology and stunning craftsmanship. With AI around the corner, this film lightly raises questions of humanity, society and algorithmic modelling and reminds us how quickly the possibilities of our past can become forgotten futures. 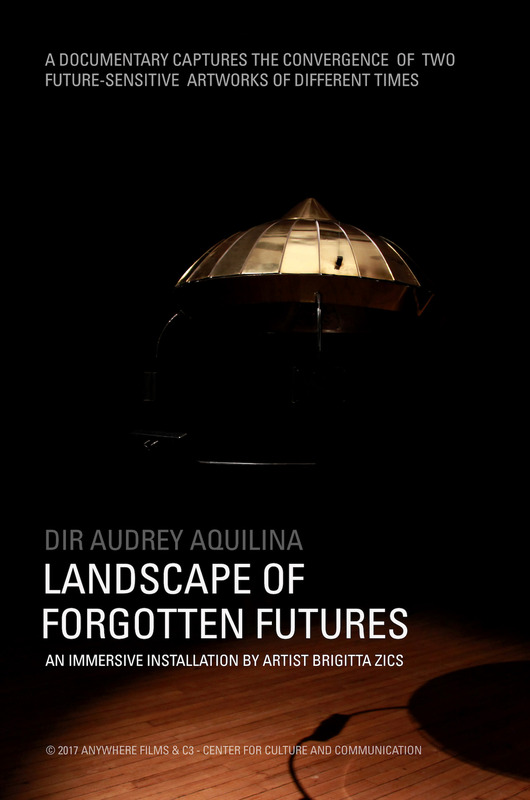 Landscape of Forgotten Futures celebrates big ideas - our capacity to dream and build better futures. In the centre of a Budapest power station that lay unchanged through Communist times and then forgotten, we find remains of exquisitely detailed industrial architecture and the revolutionary technology that 100 years ago was changing the world: publicly available electricity. The Eye Resonator, a 'thought-machine', was installed in this space, representing today's big idea: artificial intelligence. Part copper, part computer, it pits steampunk aesthetics and pre-War optimism against the design and technology of today's race into a digital future. Initial intentions to record the installation grew in ambition as the documentary process uncovered rich themes. From complexities in finding a suitable location to link architecture and artwork, to the mathematical models and technologies that underpin the experience itself - this film peeks into fascinating worlds: multi-agent systems, artificial intelligence, migratory swarming, cyberpunk, aesthetics. Glimpses of possible futures and worlds of dreams past. I hope this film opens the lid just a crack on new ideas and leaves you curious for more.